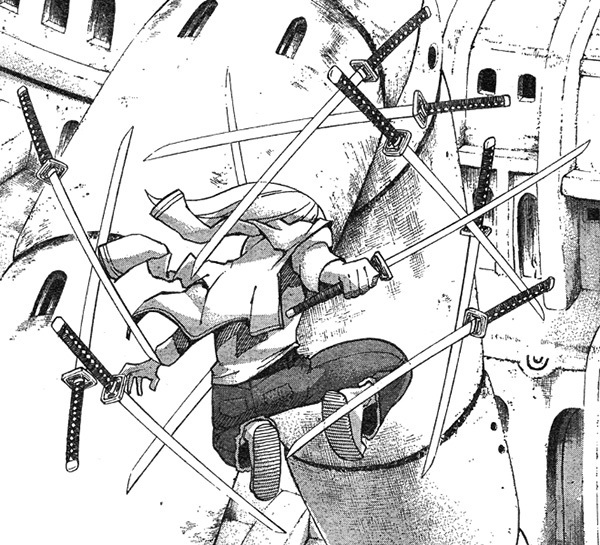 The list of top swordsmen is based on the uniqueness of the fighting techniques and the conduct of the fights and it includes only well-developed characters. In addition, I’d like to note that there is no need to describe such characteristics the represented personages have as reaction, intensified perception, superhuman abilities, and so on since their level is really high in comparison with their opponents’ abilities and powers. 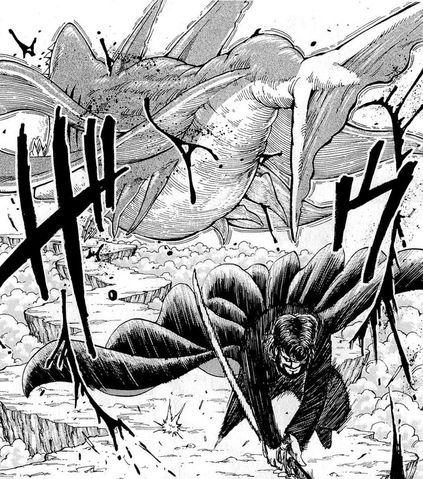 Here are the top 10 sword fighters in manga. Roronoa Zoro is a character in the One Piece manga series. 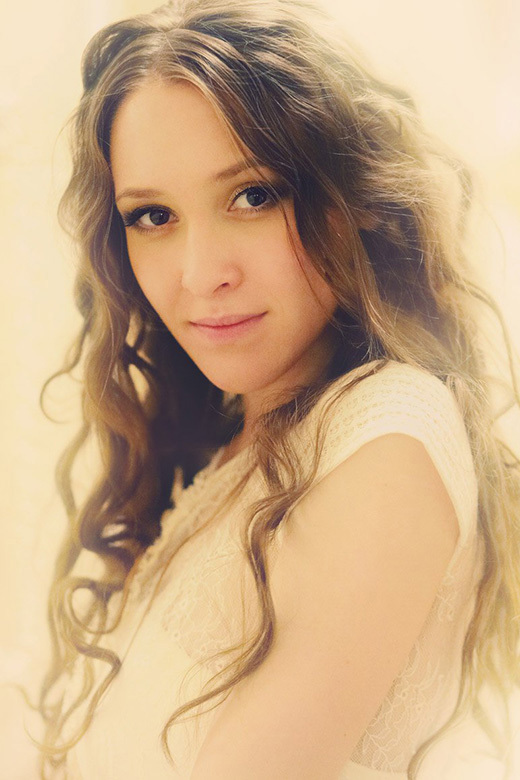 He is one of the key personages and the protagonist’s friend. 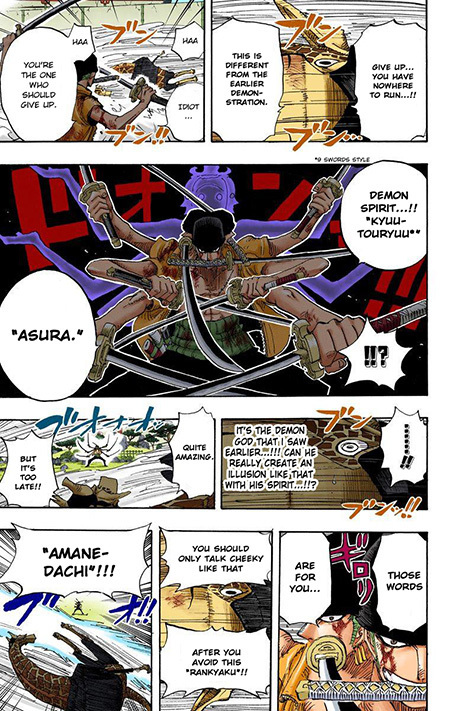 Roronoa Zoro has three fighting styles of fencing. Let’s see! 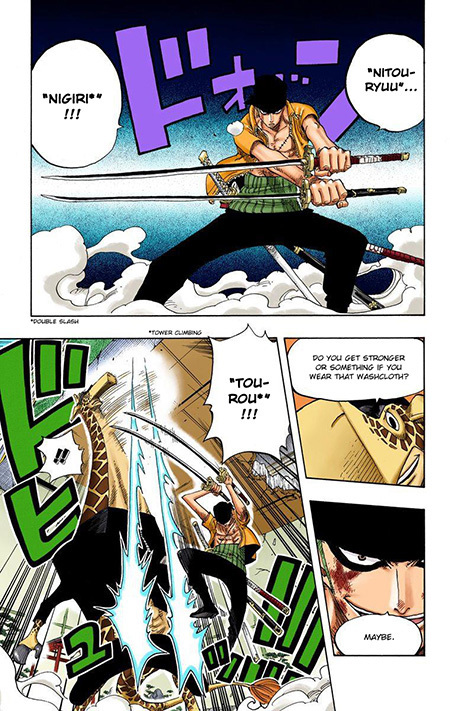 Ittoryu is Zoro’s fighting style with only one sword. He was able to cut into pieces the whole galleons and even bigger and more solid things just like that. Nitoryu is a two-katana fighting style that Zoro had been developing for a long time. He used the Nitoryu attacks in situations when he couldn’t resort to his usual Santoryu technique. 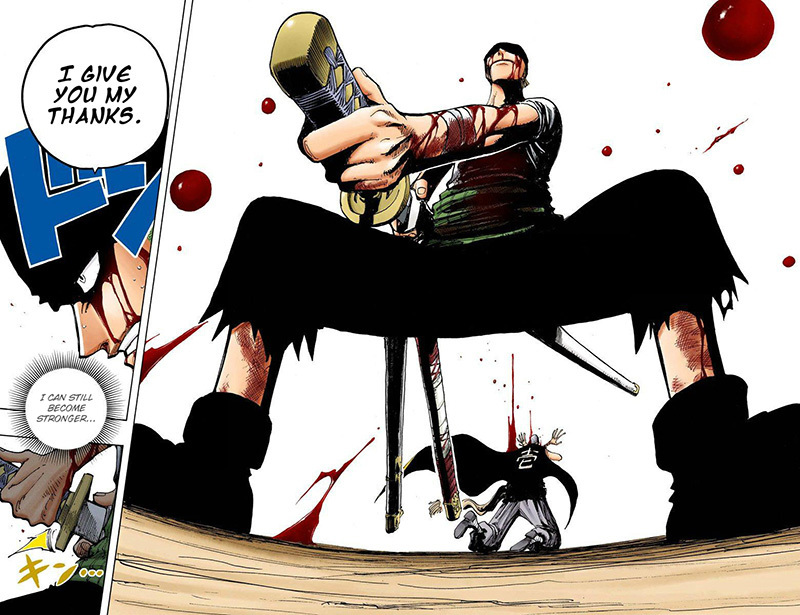 Santoryu is Zoro’s fighting style with three swords. The swordsman holds one katana in each hand and one in the mouth. 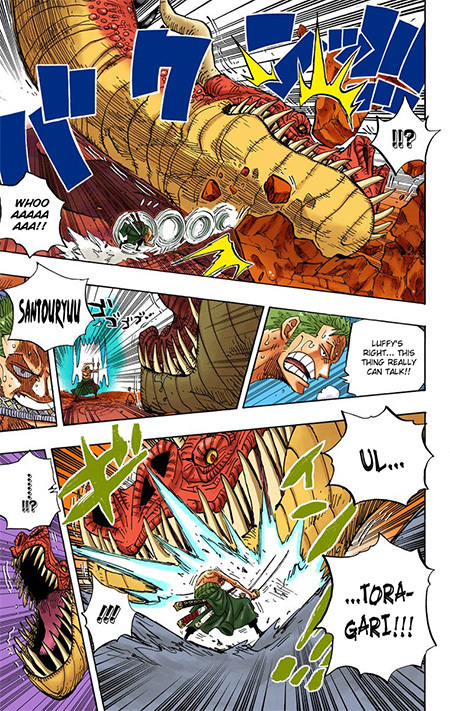 That’s Zoro’s main strongest fighting style and yet the most unique. 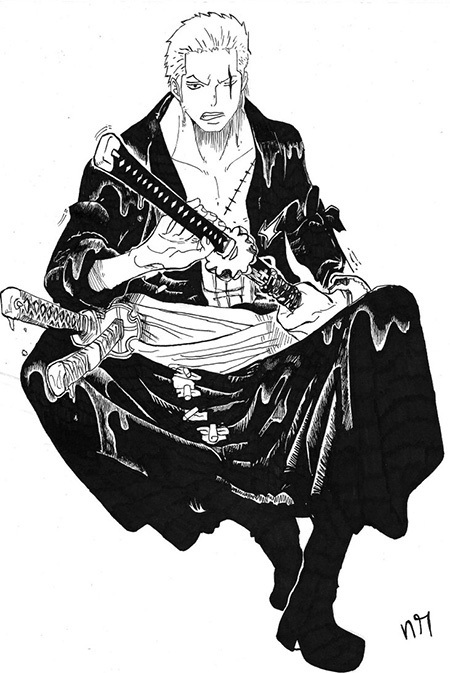 Furthermore, Zoro’s strength of mind is enormous so that he can create illusions curving the space. Looks impressive! Kirin is a swordsman in 666 Satan, a mentor of the main characters. Kirin possesses Rinne Tensho (“bell sound” Celestial Elimination) fencing technique enabling him to cut anything into pieces. Moreover, with this technique, Kirin can cut the firmest materials with the things that are not intended for that (for example, to cut steel or rock with a rod). 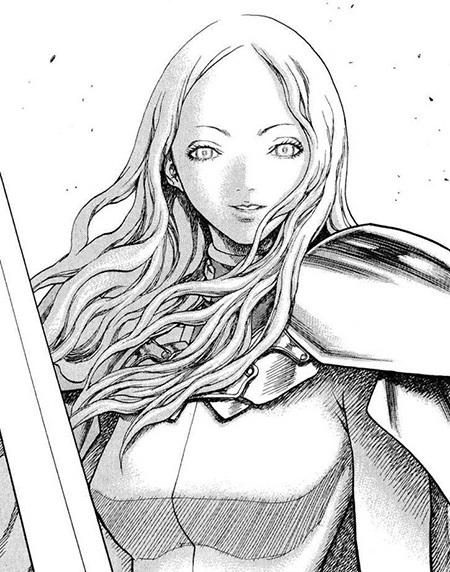 Teresa is a character in Claymore, the main heroine’s guardian. Teresa is certainly not a girl to trifle with. She resorts to fast and powerful attacks resulting in hacking an opponent apart. Of course, it’s easy to do this with a claymore which is a heavy razor-sharp sword made of metal that never grows blunt or breaks. It’s possible to cut steel and rock with this sword as well as to block the stabs of tremendous force. Teresa has a unique skill: she can copy somebody else’s fighting styles and movements having seen them just once. She has in her arsenal Flora’s, Rafaela’s and Helen’s techniques, and, by the way, they are the strongest heroines in the Claymore universe with their own unique fighting styles. 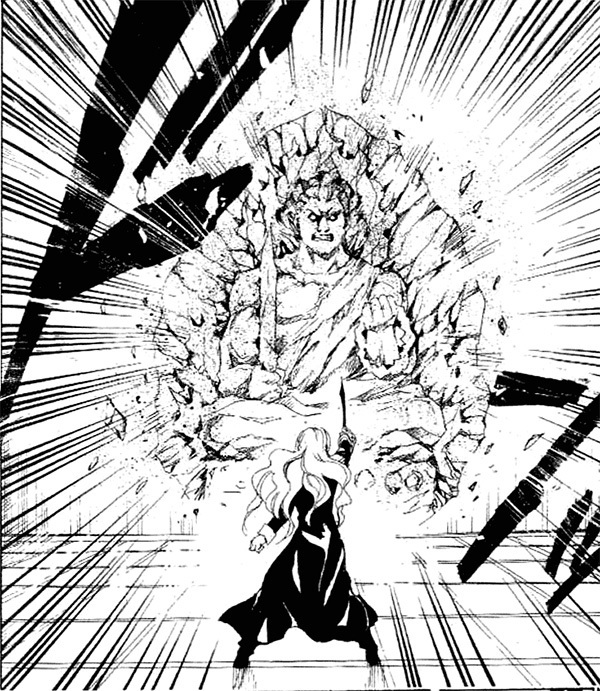 Moreover, due to the great Yoma power, all Teresa’s copied techniques get even of greater strength. Apart from the series of superspeed strokes and other skills, Teresa copies Cassandra’s “Dust Eater” technique, a remarkable fencing style. She is sliding very close to the ground sometimes touching the surface with her face. Keeping her balance and speed, she can move from standing to slithering just in a second. It’s hard for enemies to hit an opponent sliding near their feet and especially to repel attacks. Thus, Teresa is dodging attacks and cutting opponents’ arms and legs until they can’t move and finishes them. 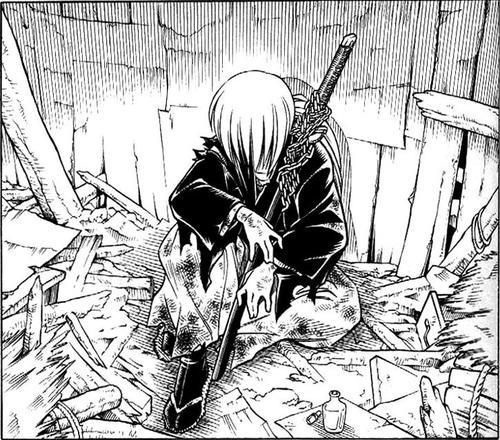 Kenshin is the protagonist in the manga Rurouni Kenshin, a peerless swordsman in his world. Kenshin is an ordinary man so he doesn’t have anything supernatural. However, he is a cult swordsman that’s why he is in the list. Kenshin has a card up his sleeve, that’s for sure. First, it’s Kuzuryusen technique in which one strikes nine vital spots on the enemy’s body at once. The enemies that are not endowed with a strong physique will be paralyzed (or killed) straight away. 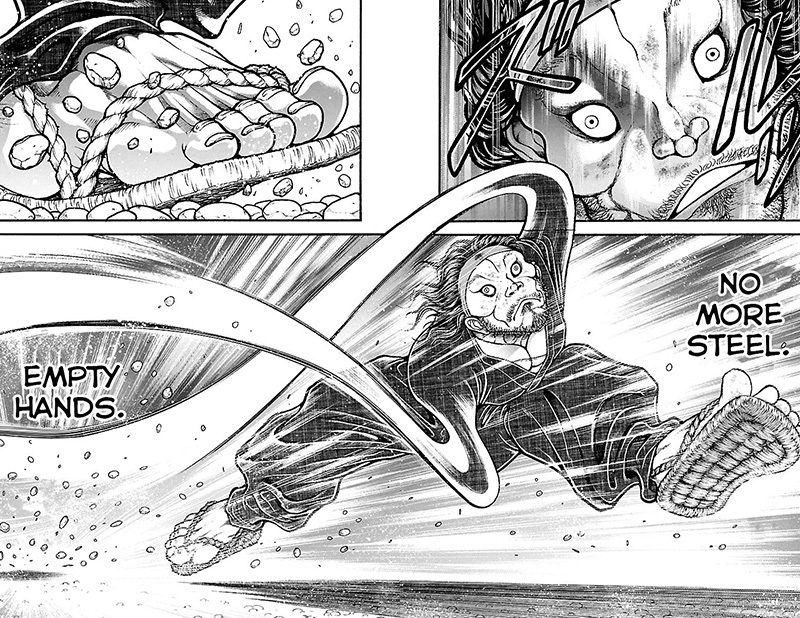 Second, Kenshin uses Amakakeru Ryu no Hirameki which combines the Godspeed with Battojutsu technique. If everything goes right, one is able to kill with a single stroke. Otherwise, if the opponent blocks the stab, the friction of the blades creates a vacuum whirl attracting the enemy to the sword. After that, the user attacks again with a greater force. 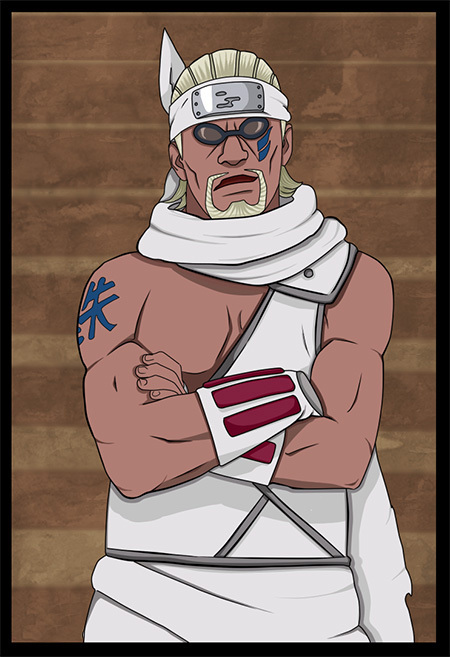 Killer Bee is a personage in Naruto. Although he is a supporting character, in the ending he acts as a main one. 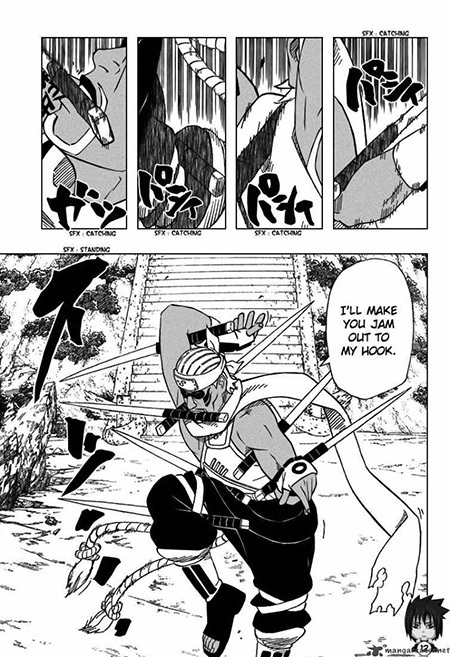 Actually, Killer Bee is not a “straight” swordsman but he possesses an inimitable fencing technique which is called “Seven Swords Dance”. With this technique, he wields seven swords simultaneously covering them with lightning when needed to increase the intensity of the attack and penetrative power. Due to Bee’s somersaults and chaotic strokes with all seven swords, it’s difficult to guess the attacks in advance and repel them. This technique is really something extraordinary! I haven’t seen anything like that in other titles. Except the “Seven Swords Dance” technique, Bee is well-versed in hand-to-hand combat, specifically holding and throwing techniques. 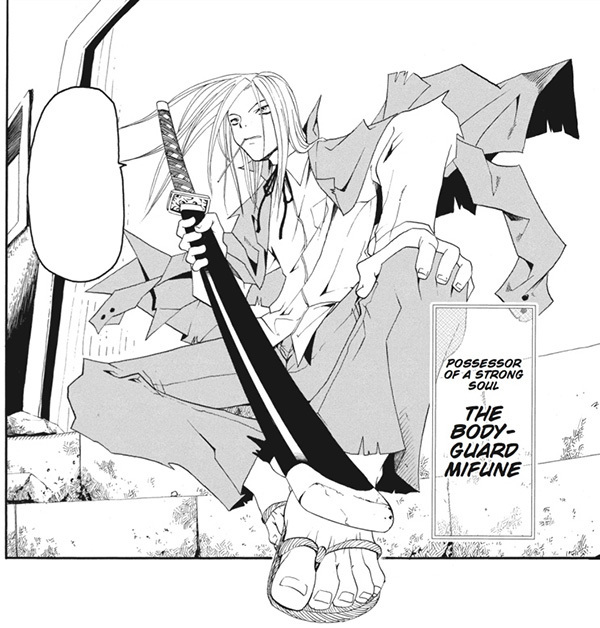 Mifune, aka “God of the Sword”, is a swordsman in the manga Soul Eater, the bodyguard of the Witch Angela Leon. Mifune possesses a special style with wielding several swords called Mugen Ittoryu. He surrounds a battlefield with his “Keep out” line tape and swords are thrown in this “zone”. 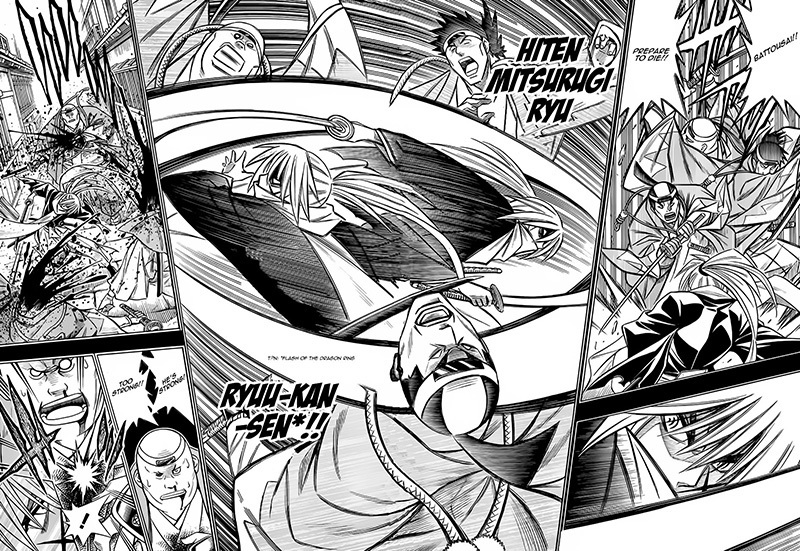 Due to his inhuman speed, Mifune can strike with any of the swords attacking in all directions. 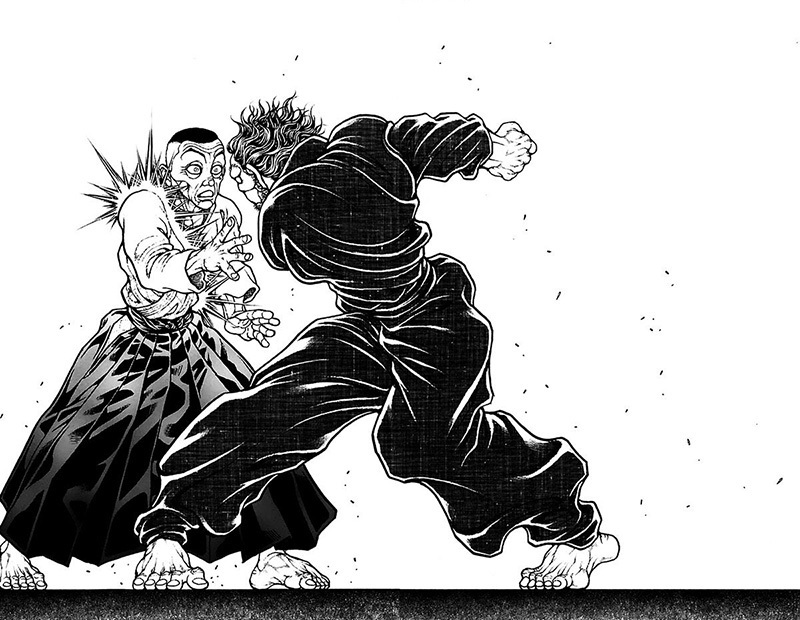 Miyamoto Musashi is a character in the manga Baki the Grappler. He was a legendary swordsman, one of the most well-known fencers in Japanese history. He got a nickname “Kensei” which means “sword-saint”. Musashi became famous due to his outstanding fencing technique which he’d been honing with a wooden sword in numerous fights since he was a child. He created and successfully used his two-sword Kenjutsu technique. Besides, Musashi is well-versed in hand-to-hand fighting and other techniques like wielding missile weapons made from means turned out to be at hand. Another Musashi’s technique is attacking enemies at the moments when their muscles are the least tense. The muscles are the most relaxed in the moment before the opponent toughens them, for example, getting ready for a jump or stroke or another action. In such moments, Musashi manages to inflict serious wounds on enemies while in other cases he would only give them deep cuts. 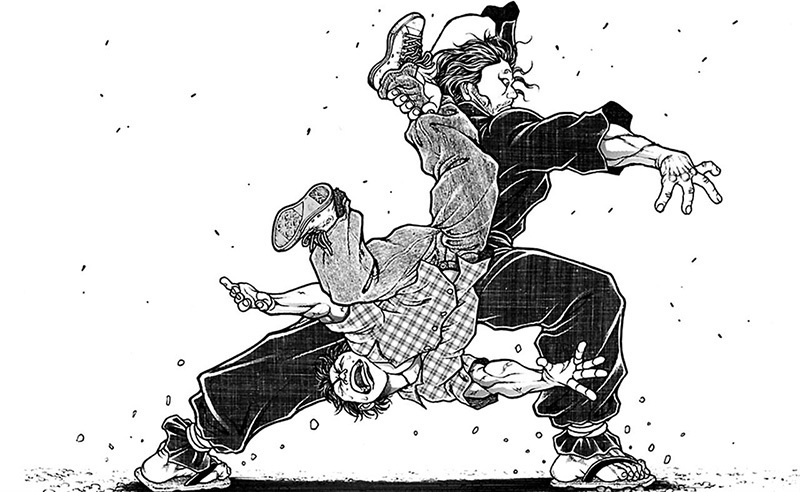 Musashi also amazes with his unusual hand-to-hand fighting style which we can name as “human sword”. He grabs the enemy’s leg and presses him into the floor with tremendous force as if he is using a sword. Moreover, Musashi’s grip and flourish of the hand are the same as during usual fights with a katana. Can you picture that? What else can boggle our imagination? Musashi’s “imaginary sword”. Although it sounds unbelievable, Musashi is able to wield a sword even if he doesn’t have one. Of course, the strokes with an imaginary sword cannot inflict any visible injures but an opponent suffers the pain which is so severe that he blacks out for few seconds. Further to the subject of the “weaponless” fights, Musashi also brilliantly imitates a two-sword technique using nothing but his own hands. Let’s call it a “swordless fight”. He can slash everything with his hands as if they are blades. 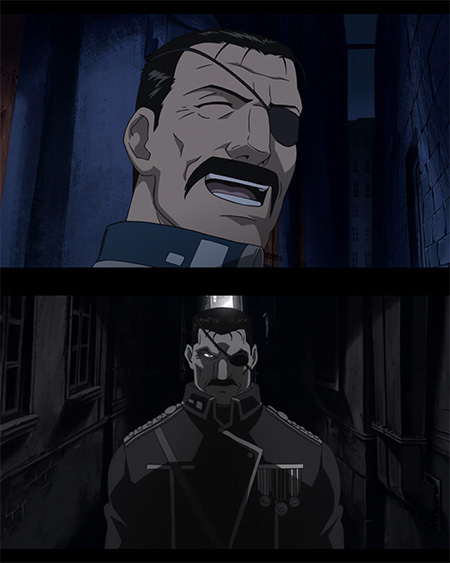 King Bradley is one of the seven main antagonists in the manga Fullmetal Alchemist. Bradley is able to fence with two swords simultaneously. Together with his ability known as the “Ultimate Eye”, Bradley’s attacks get even more dangerous for enemies. The eye allows him to predict the future actions and to see the slightest movements of the opponent’s every muscle. However, it’s impossible for Bradley to use the eye if his view is blocked. Equally impressive is Bradley’s ability to chop several gunmen to pieces before they even notice something, to avoid bullets with no effort and move quicker than the human eye can track. In addition, he is well-versed in hand-to-hand fighting, wielding knives, broadswords and other kinds of bladed weapon. 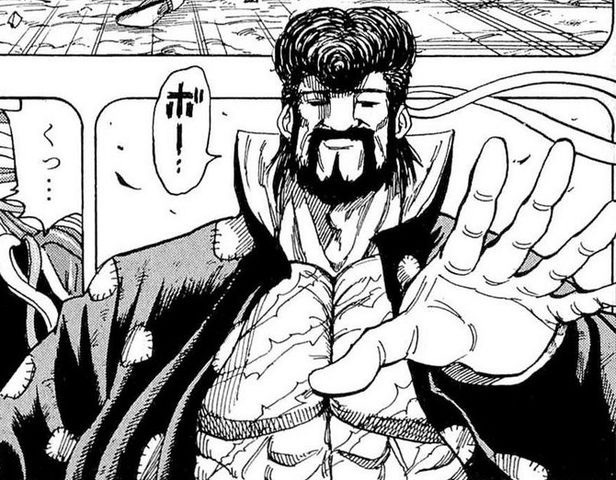 Guemon is a supporting character in Toriko, a highly experienced fighter. He is able to predict all the opponent’s attacks even if he doesn’t see them. Additionally, Guemon can guess the enemy’s skills which are not so obvious at first sight like that one can’t look into his eyes. 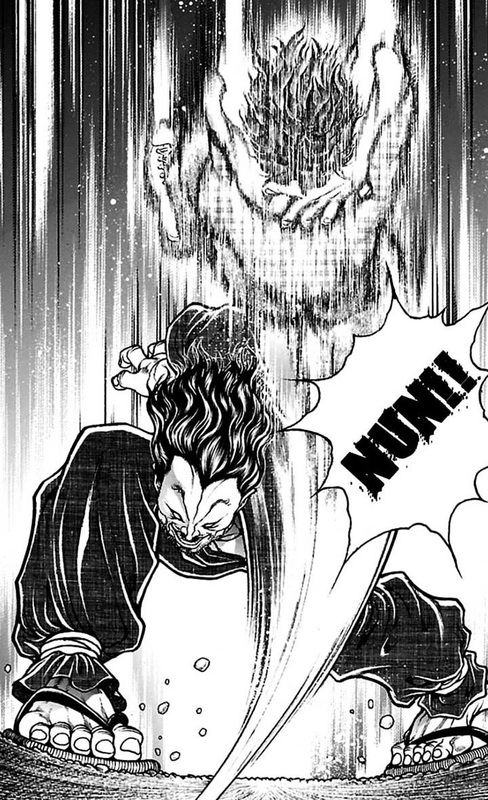 When fighting, Guemon instinctively chooses the best techniques against a specific enemy even if he doesn’t know what abilities he possesses. He can unerringly predict not only the attacks but also how to repel or avoid them. What’s more, Guemon unmistakably strikes the beast’s vital organs the first time he sees it. 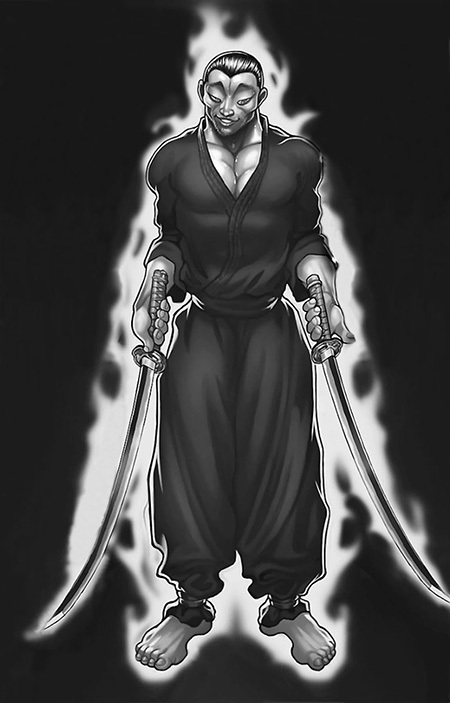 Using his own fencing technique which resembles Iaido (means that one is able to draw the sword very quickly and respond to a sudden attack), Guemon can kill extremely dangerous enemies with a single strike. 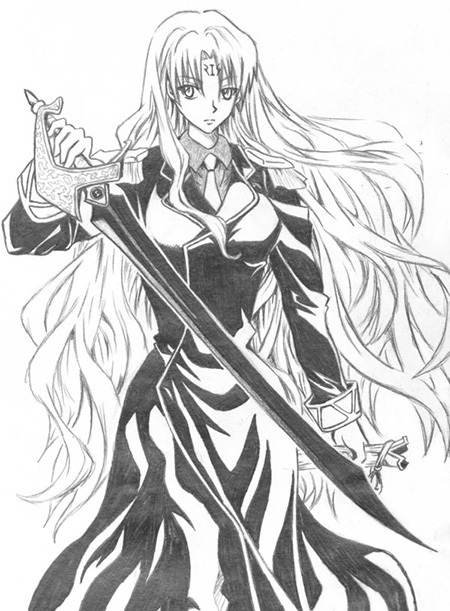 Sephiria Arks is a personage in the manga Black Cat. She is an expert swordfighter. 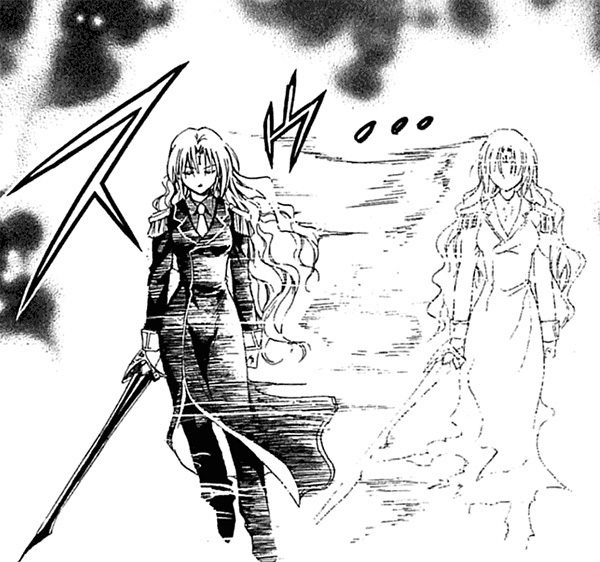 Moving along intricate trajectories, Sephiria leaves afterimages behind herself confusing the opponent. And where do you think she is then? Right behind the opponent’s back! In addition to that, what makes Sephiria so unique is the Mekkai technique allowing her to use super high speed to slice the enemy into ash in a split second. 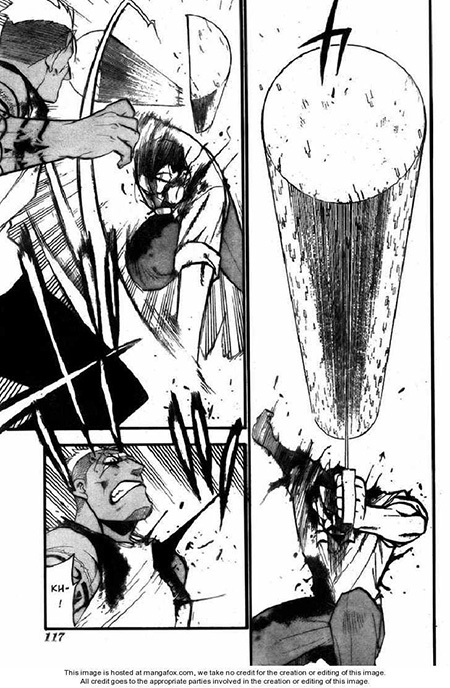 So, I’ve covered some of the top sword fighters in manga. I believe there are more powerful characters you have in mind. Who do you think earns a spot in this list? I’d love to hear your feedback. why bleach charater isn’t here i think they have many best sword`s man than anyone in the line up. Here is the list of the best swordsmen but not magicians wielding swords. In Bleach, everything is based on reiatsu, and after practicing for three days Ichigo could fight head-to-head with the captains who had been honing their skills for centuries. Actually, there are just two swordsmen: Unohana and Kenpachi. Only these two believe in their swords and need nothing else. 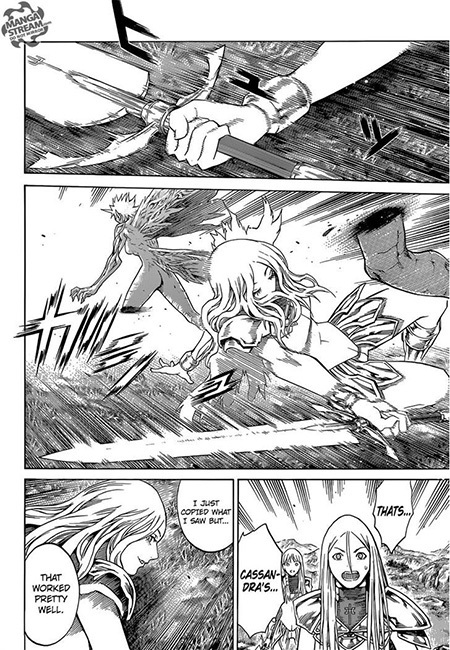 Erza is not in the list because she can beat anyone due to the “power of friendship”, her fights are too absurd. There isn’t any actual battle craft. At least, it isn’t represented. I’d rather call Guts a relative swordsman since he’s holding some kind of a rail in his hands and just waving it. If we talk about Berserk, we could also mention about Griffith. Griffith is definitely cool as a swordsman but he isn’t a “pure” one. 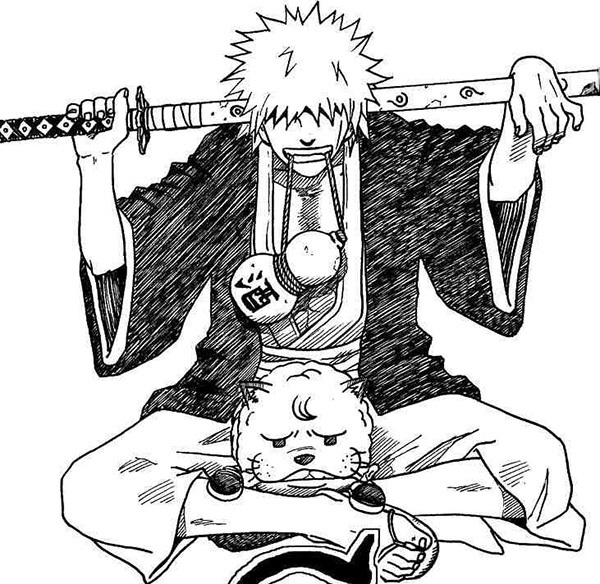 For the most part of the manga he’s shown as a demon.